Carolina Caycedo, detail from 'Serpent River Book' (2017). Courtesy the artist. Friday, June 15, 6:00 – 9:00 p.m.
Wednesday, July 4, 5:00 – 5:30 p.m.
Friday, July 27, 12:00 – 1:00 p.m.
Saturday, August 4, 1:00 p.m. - 3:30 p.m.
Wednesday, August 22, 5:00 – 5:30 p.m. If the river ran upwards reflects artists’ engagements with regions across the Americas that have been sites of industrial activity. The selected works can be understood to redress what visual scholar Nicholas Mirzoeff has referred to as "Anthropocene visuality," naming the political implications of images that naturalize or glorify the presence of large-scale industrial activity and its pollutive effects. In this framing, the exhibition draws on the work of prominent cultural critics T.J. Demos and Macarena Gómez-Barris, both of whom engage Mirzoeff's writings with the shared intent of problematizing depictions of ecological sites that privilege the land's extractive value. A number of works examine the relationship between the cultural valuation of river environments and their visual depictions. Silvina Babich's work, Port to Port, along the Uruguay River (2017 - ongoing), documents the artist's attempt to travel a section of the Uruguay River relying solely on the willingness of individuals she meets to allow her to join them. Documents of these travels via boat highlight the local economies, such as artisanal fishing, which sustain many of the individuals. Over the past five years, Carolina Caycedo has produced a body of work titled Be Dammed that reflects on the current impact of large-scale dams on various bio-regions across the Americas. 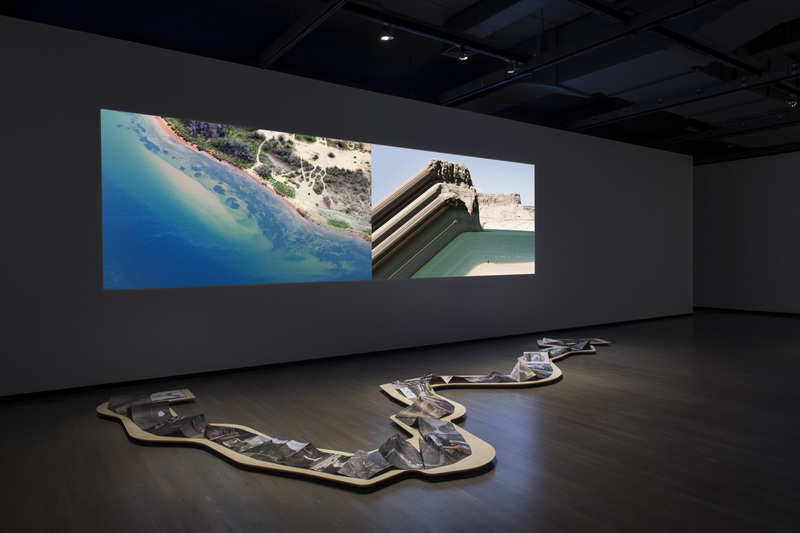 Reflecting Caycedo's critical interrogation of images of these infrastructures, Gómez-Barris argues that the work "inverts, refuses, and subtends the visual formats of the dam's view to instead support the experiences of local social and ecological movements." This logic aligns with Caycedo's own poetic claim that if a river ran upwards, it could never be dammed. Diane Borsato’s video work, Gems and Minerals (2018), allows for a reflexive consideration of the role of cultural institutions in the negotiation of public narratives that surround extractive industries. 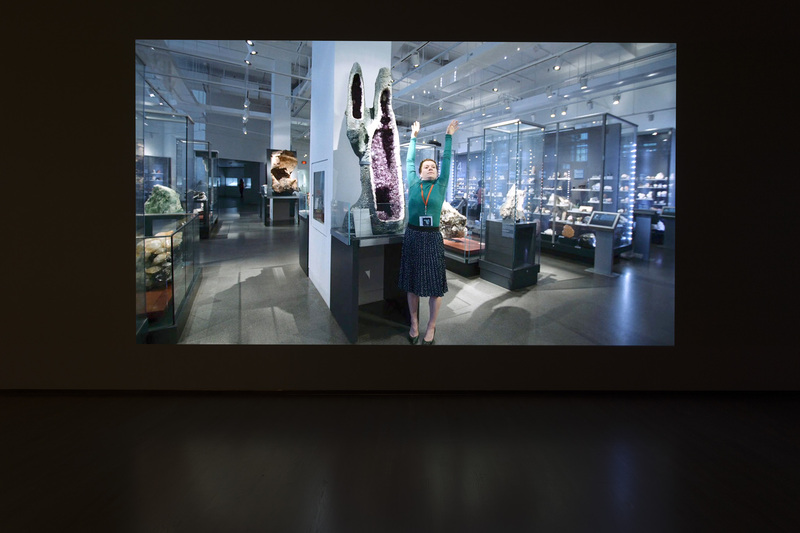 The work follows a host of museum guides through a display of gems and minerals, where they offer facts, anecdotes, half-truths and fictions about the histories of the specimens on display. With a shared interest in presenting the less visible effects of extractive industries, Alana Bartol’s video, reading wild lands (2018) depicts two sites in Calgary that were former oil refineries which have undergone remediation processes. For their contribution to the exhibition,T’uy’t’tanat-Cease Wyss and Anne Riley have chosen to respond to the Butterfly Garden (1999), a permanent work by Mike MacDonald (1941-2006) that is situated outdoors adjacent to Walter Phillips Gallery. Intended to provide habitat for migrating butterflies, the plants selected for the garden were informed by Indigenous and Western scientific forms of knowledge; a living demonstration of how we might counter images which equate environments with resources. On August 4, Wyss and Riley will host a gathering in homage to the Butterfly Garden, and will distribute a new work on cassette tape, Soundtrack for the Radical Love of Butterflies (2018). Nicholas Mirzoeff, "Visualizing the Anthropocene," Public Culture (May 2014), 26 (2 (73)): 230. See Macarena Gómez-Barris, The Extractive Zone: Social Ecologies and Decolonial Perspectives (Durham: Duke University Press, 2017), 97; and T.J. Demos, Against the Anthropocene: Visual Culture and Environment Today (Berlin and New York: Sternberg Press, 2017), 70. Gómez-Barris, The Extractive Zone: Social Ecologies and Decolonial Perspectives, 93. "Cosmotarrayas/Comotarrafas/series, 2016," Carolina Caycedo, carolinacaycedo.com/cosmotorrayas-comotarrafas-series-2016. Gómez-Barris, The Extractive Zone: Social Ecologies and Decolonial Perspectives, 103. Silvina Babich is an Argentinian artist and curator focused on policy-making that strengthens the link between culture and nature around the watershed of Río de La Plata, Argentina. Her output relies on fieldwork and citizen participation that involves complex relationships across social, economic ,and environmental issues. These relationships materialize in trans-disciplinary programs, visual and performing practices, public installations, landscaping actions, and publications. Trained in the crafting of natural fibres, she fosters the interaction amongst locals who support their workshops drawing from the area they reside in, thus promoting ownership of communal territories. Babich graduated from the School of Fine Arts Prilidiano Pueyrredón of Buenos Aires, and since 1992, leads the arts collective Ala Plástica in implementing projects in South America and globally. Alana Bartol comes from a long line of water witches. Through performative, research-based, and community embedded practices, her site-responsive works propose dreaming, walking, and divination as ways of understanding across places, species, and bodies. Her work has been presented and screened nationally and internationally at various galleries including PlugIn ICA, Winnipeg; ARC Gallery, Chicago; Karsh-Masson Gallery, Ottawa; Simultan Festival, Timisoara; Museo de la Ciudad, Mexico City; Access Gallery, Vancouver; InterAccess ,Toronto; Art Gallery of Windsor, and Groupe Intervention Vidéo, Montréal, amongst others. Recent residencies include Banff Centre for Arts and Creativity and Santa Fe Art Institute. Bartol currently lives in Calgary and teaches at Alberta College of Art+Design. Diane Borsato has established an international reputation for her social and interventionist practices, performance, video, photography, and sculpture. She was twice nominated for the Sobey Art Award and was winner of the Victor Martyn-Lynch Staunton Award for her work in the Inter-Arts category from the Canada Council for the Arts. She has exhibited and performed at major Canadian institutions including the Art Gallery of Ontario, Toronto; The Power Plant, Toronto; the Art Gallery of York University, Toronto; MOCCA,Toronto; the Vancouver Art Gallery; the National Art Centre, Ottawa; and in galleries and museums in the United States, France, Mexico, Taiwan, and Japan. Borsato holds an MFA from Concordia University and an MA in Performance Studies from the Tisch School of the Arts, New York University. She is currently Associate Professor in Studio Arts at the University in Guelph where she has taught advanced courses that explore the relationships between art and everyday life, including Food and Art, Special Topics on Walking, OUTDOOR SCHOOL and Live Art. Carolina Caycedo was born in London to Colombian parents and currently lives and works in Los Angeles. She transcends institutional spaces to work in the social realm, where she participates in movements of territorial resistance, solidarity economies, and housing as a human right. Caycedo’s artistic practice has a collective dimension to it in which performances, drawings, photographs and videos are not just an end result, but rather part of the artist’s process of research and acting. Through work that investigates relationships of movement, assimilation and resistance, representation and control, she addresses contexts, groups and communities that are affected by developmental projects, like the constructions of dams, the privatization of water, and its consequences on riverside communities. She has developed publicly engaged projects in Bogota, Quezon City, Toronto, Madrid, Sao Paulo, Lisbon, San Juan, New York, San Francisco, Paris, Mexico DF, Tijuana, and London. Her work has been exhibited worldwide with solo shows at Vienna Secession; Intermediae-Matadero, Madrid; Agnes B Gallery, Paris; Alianza Francesa, Bogotá; Hordaland Kunstsenter, Bergen; 18th Street Arts Center, Santa Monica; and DAAD Gallery, Berlin. She has participated in international biennials including Sao Paulo (2016); Berlin (2014); Paris Triennial (2013); New Museum (2011); Havana (2009); Whitney (2006); Venice (2003) and Istanbul (2001). In 2012, Caycedo was a DAAD Artist-in-Berlin resident. She has received funding from Creative Capital, California Community Foundation, Los Angeles Department of Cultural Affairs, Harpo Foundation, Art Matters, Colombian Culture Ministry, Arts Council UK, and Prince Claus Fund. T'uy't'tanat-Cease Wyss (Skwxwu7mesh/Sto:Lo/Irish Metis/Hawaiian/Swiss) is an interdisciplinary artist who works with new media, performance, and interdisciplinary arts. She is a community engaged and public artist with works that range over twenty-five years and focus on sustainability, Coast Salish cultural elements and themes of ethnobotany and digital media technology. Wyss is an emerging weaver focusing on a textiles art practice through Coast Salish weaving techniques in wool and cedar. She is exploring how Polynesian weaving and interactive art and design can be brought together in her interdisciplinary art practice. The artist also helped to build and currently stewards an indigenous community garden in the village of Xemelchts’n [also known as the Capilano Reserve, North Vancouver]. Wyss recently worked on an app that launched through Presentation House, Vancouver (now Polygon Gallery, Vancouver) that focused on the “Cultural Crossings” between her community and the non-indigenous communities that co-exist in North and West Vancouver. Other publications include herbariums with grade 7 students, focusing on indigenous plants of the Pacific Northwest Coast (Contemporary Art Gallery, Vancouver, 2017); a short story on her early life with her family looking at fish camp stories for Sustenance (Anvil Press, Vancouver, 2017); and a collaborative project titled Journey to Kaho’olawe (grunt gallery, Vancouver, 2017) with German artist Hans Winkler. Wyss is a member of the Aboriginal Writers Collective West Coast, as well as the Ya-Howt Indigenous Women’s Permaculture Cohort and lives in East Vancouver. She is a beekeeper and community engaged gardener, decolonizing through indigenous women and permaculture. Anne Riley is a multidisciplinary artist based in Vancouver. 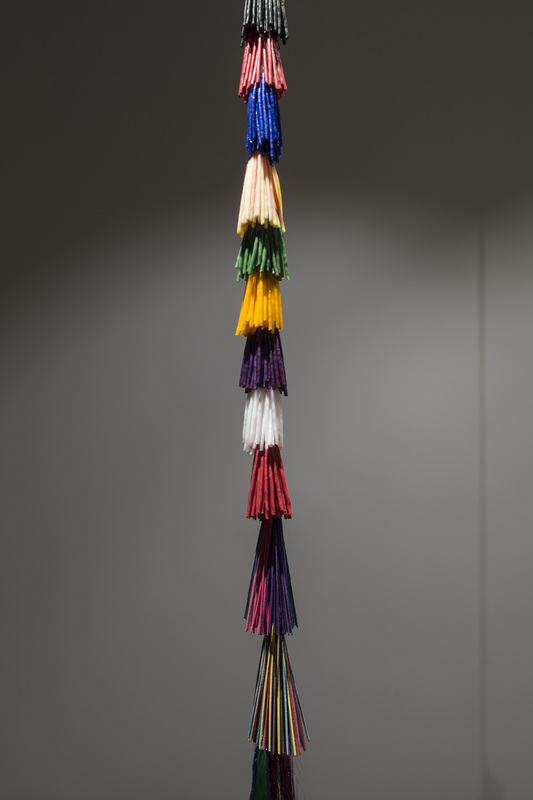 Her work explores different ways of being and becoming, touch, and indigeneity. Riley is Cree and Slavey Dene from Fort Nelson First Nation and received her BFA from the University of Texas, Austin. She has exhibited both in the United States and Canada. Recently, her public art project with indigenous artist T'uy't'tanat-Cease Wyss, A Constellation of Remediation (2017-2019), was commissioned by the City of Vancouver for the Artist-Initiated Projects. The two-year project will consist of four Indigenous Remediation Gardens planted on vacant gas station lots throughout the city. Genevieve Robertson is a drawing-based interdisciplinary artist with a background in environmental studies. Her practice explores the material around the body and under the feet: water, oil, wind, silt, flora, fauna and mineral. Her drawings are often comprised of found organic materials collected on-site, and map a visceral and long-term engagement with specific regions. 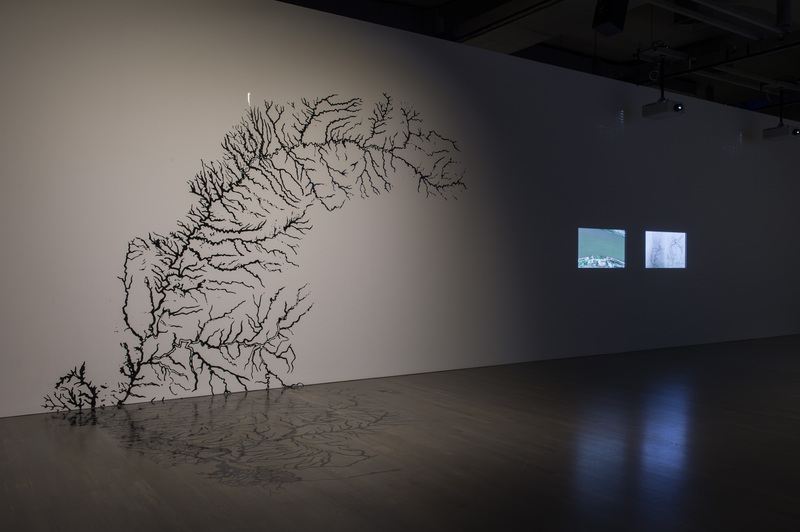 Through recent research on the Salish Sea and the Fraser and Columbia rivers, she has engaged with the complexities that emerge when relating to land and water in a time of large-scale industrial exploitation. Her work is informed by a personal and intergenerational history of resource labour in remote forestry camps on the West Coast of British Columbia. Robertson holds an MFA from Emily Carr University of Art + Design, Vancouver and a BFA from Nova Scotia College of Art and Design University, Halifax; and has participated in numerous art residencies internationally. Robertson has exhibited her artwork in venues including the Libby Leshgold Gallery, Vancouver; The Pensacola Museum; Nanaimo Art Gallery; Touchstones Museum, Nelson; Or Gallery, Vancouver; The New Gallery, Calgary; and the James May Gallery, Algoma. Robertson presently resides in Nelson where she serves as Executive Director for Oxygen Arts Centre. Installation view of Carolina Caycedo's 'Dams will burn / Las represas arderan' (2017), courtesy the artist. Walter Phillips Gallery, Banff Centre for Arts and Creativity. Photo by Jessica Wittman. Installation view of Silvina Babich's 'From port to port, along the Uruguary River' (2017 - ongoing), courtesy the artist. Walter Phillips Gallery, Banff Centre for Arts and Creativity. Photo by Jessica Wittman. 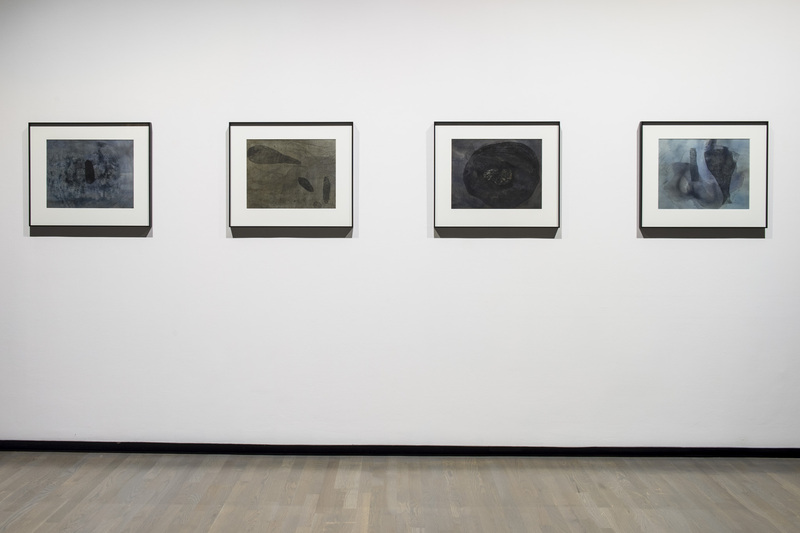 Installation view of Genevieve Robertson's series (left to right) 'River Drawing 04, 11, 07, and 02' (2015), courtesy the artist. Walter Phillips Gallery, Banff Centre for Arts and Creativity. Photo by Jessica Wittman. Installation view of Diane Borsato's 'Gems and Minerals' (2018), courtesy the artist. Walter Phillips Gallery, Banff Centre for Arts and Creativity. Photo by Jessica Wittman. Installation view of Carolina Caycedo's (top) 'To stop being a threat and to become a promise' (2017) and (bottom) 'Serpent River Book' (2017), courtesy the artist. Walter Phillips Gallery, Banff Centre for Arts and Creativity. Photo by Jessica Wittman. 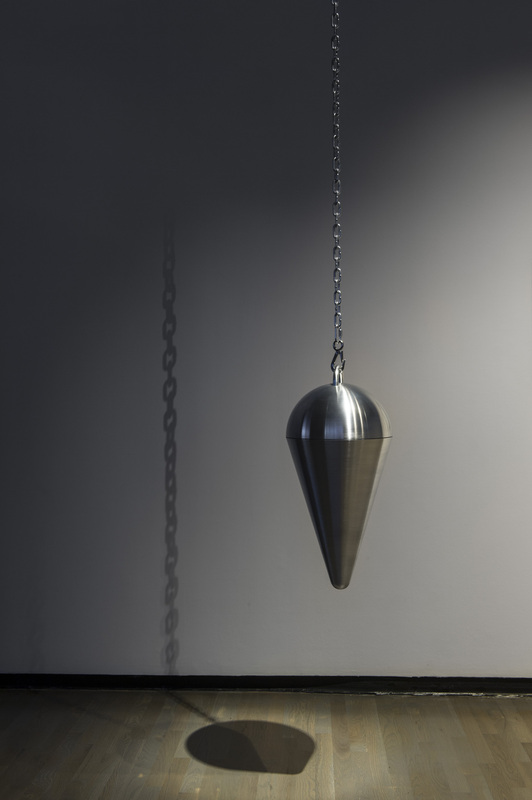 Installation view of Alana Bartol's 'Pendulum I (the dowser's pendulum)' (2018), courtesy the artist. Walter Phillips Gallery, Banff Centre for Arts and Creativity. Photo by Jessica Wittman.